The idea of combination techniques is to train the individual to change from one technique to another. Thus if your partner escapes from one technique one can quickly switch to another. Also by being able to follow him by the feel of his movement and direction, combination techniques give you control over your partner the whole of the time. 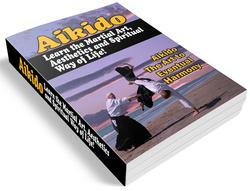 There are many combination techniques but you will find that if your practise properly they will come automatically through your Aikido movement. This will eventually come to you without you thinking about them. 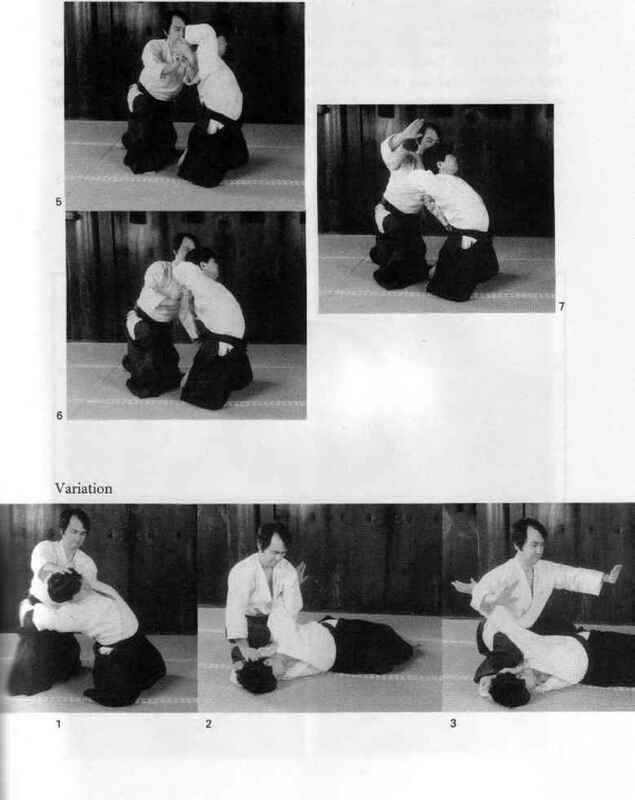 I will give you the basic idea from 1st form Shiho-nage into Kote-gaeshi and then into Ikkyo. Take your partner into 1st form Shiho-nage as I have explained. Now when you are throwing him he will make a backward breakfall, so make certain that you keep hold of his wrist with your right hand. Now take hold of the top of his hand with your left hand. Your right hand catches the back of his hand. At the same time, step back with your left foot, throwing him with Kote-gaeshi. Keep hold of his hand with your left hand, your right hand coming over to grasp his wrist. Switch your left hand grip to just above the elbow. Turn your body to the right, throwing him in Ikkyo.